She sent two of her amazing and luxurious lip balms, 'Honey Bea' which is named after Indias gorgeous niece Honey Beatrice, how cute is that?! :D I purchased one when her website just launched and it's nearly finished so i was so happy when i saw there was another one in the package haha Also, her new 'Majestic Mango' lip balm, which smells good enough to eat, is hitting the website really soon, so keep your eyes peeled for that. Oh I sooo want to try the lipbalms! The packaging is soo pretty! love this! and love the blog, girl! keep it up! I'm now curious about the lipbalms. I have a current obsession with lipbalms at the moment. Loving the sound of the Mango flavoured/scented one. Would love to give it a try :) You're so lucky. Awww :D Sophia you are the best #bestbloggerfriends !! Thanks so much for doing this post, you are honestly amazing!! I've been eyeing her lip balms too! The packaging is so lovely and still luxurious! 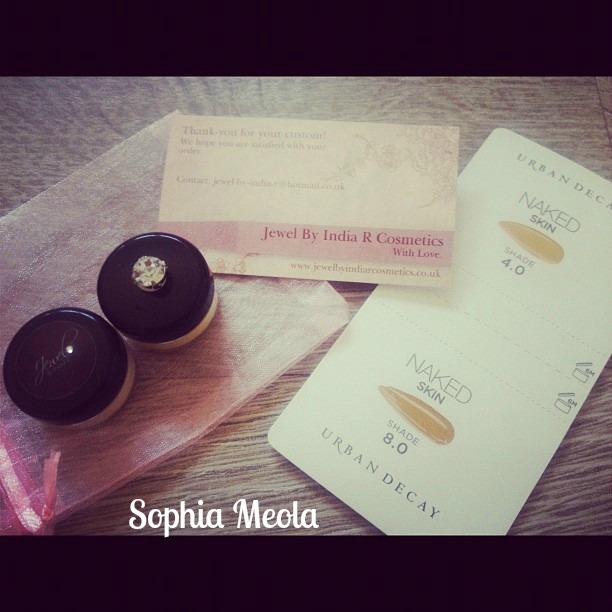 Such a nice post, lovely lip balms! I might have to go and buy one now haha! I love the peach colour on my blog, very different. lovely blog, keen to know about YOUR business!